- Yahoo claims that Facebook infringed the method of optimizing what advertisements are shown to what users in what spots depending on the click history and on how much the advertisers are willing to pay per click. This can get very expensive. Top ad placement for keywords related to personal injury law, for example, can cost as much as $50 per click. When there is a hot class action brewing, keywords like “asbestos law firm” and “methothelioma lawyer” can sell for as much as $150 PER CLICK. Many small and mid-size law firms budget $100,000 per year on a successful pay-per-click ad campaign. So, to prevent click fraud, where competitors click on each other’s ads to run up costs, Yahoo patented a method to analyze clicking patterns in order to determine whether a click comes from a legitimate user or not. 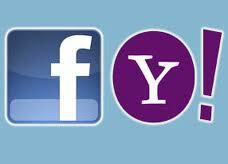 Yahoo now claims that Facebook infringed this patent by using similar statistical methods for click validation. - Privacy Settings: Yahoo alleges that Facebook infringed two patents for a method which allows users to share different sets of information with different users with similar interests or activities. 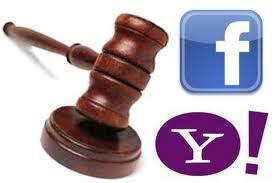 - Yahoo also alleges that Facebook pages and Facebook groups infringe Yahoo’s social networking patent and Facebook messages infringe Yahoo’s instant messaging to email patent. News Feed and Wall allegedly violate this and this patent. Yahoo strategically surprised its longtime business partner, Facebook, with this lawsuit after the latter announced plans for an initial public offering that could value the company at about $100 billion. Companies are more vulnerable to patent infringement lawsuits and are more likely to settle when they are trying to raise money in an IPO process. Yahoo has used similar strategic timing in 2004, when Google agreed to issue shares to Yahoo nine days before Google went public in exchange for a license to Yahoo's patents. The usual defense for a defendant in a patent infringement lawsuit is to file a countersuit for infringement of own patents. However, this might not be an option for Facebook because it does not own that many patents. 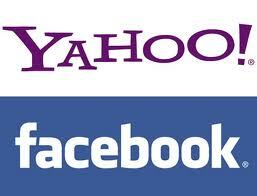 Currently, Yahoo possesses over 3,300 patents and published patent applications, while Facebook only has 160.